How each of us can "flip our switch." "Keep working one workplace, one state, one county, one country at a time, because that's how it's going to happen. Nobody's going to flip the switch for gender parity." Research shows that at the current rate of change, it will take until 2085 for women to reach parity with men in key leadership roles. 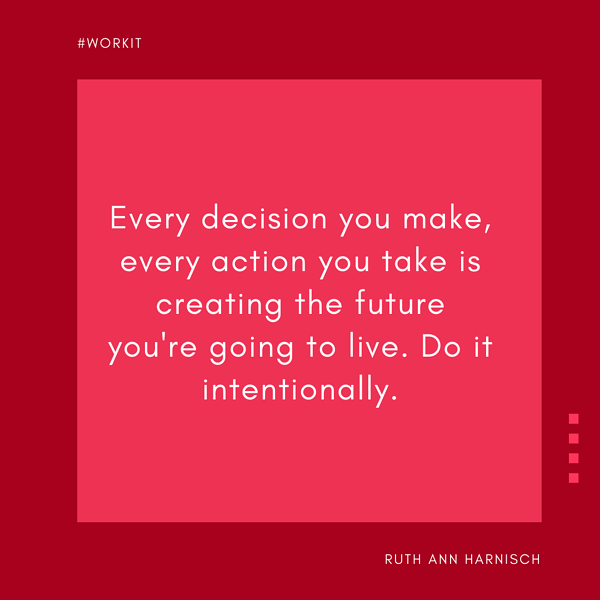 On the Season 2 finale of "Work It," I talked to Ruth Ann Harnisch, one of the first women to anchor the evening news, about how we can make progress—and why it's up to each of us to find a "switch to flip." Why we need more women in charge. 3 ways to thrive as an introverted entrepreneur. How to overcome your fear of failure. These millennials want to shatter the "perfect social media mom" myth. Why older women are the best money mentors. "Life is happening right now, so what you are doing today is creating your future."